“Don’t say one thing and mean another,” I often heard this saying as a kid and tried to live my life accordingly. But what happens when you say one thing and mean another – but you can’t help it?? There are many sound pairs in English that are so similar that they sound exactly the same for non-native speakers. And then, “let’s ship it,” may sound like “let’s sheep it.” “A new ring,” will sound like “a new wing.” And the word bad, may sound like… BED! Sometimes, you may hear the difference but not necessarily know how to pronounce it. Learn how to distinguish between the two! First, to hear the difference, and then to pronounce it. 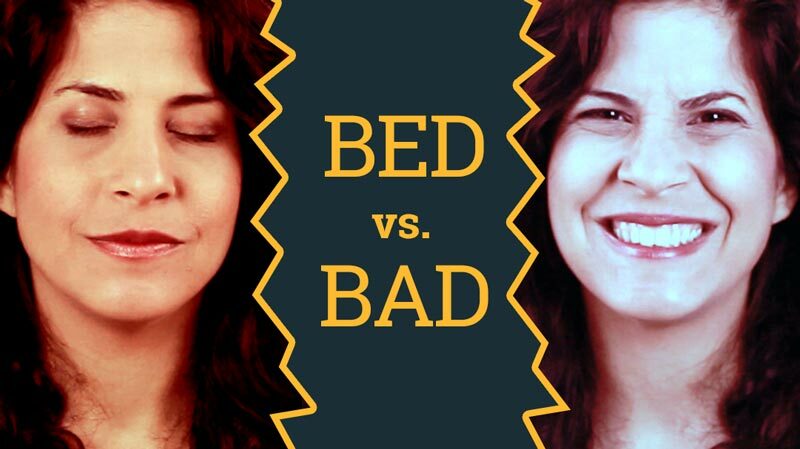 Today, we’ll begin with the vowel pair: bed-bad. What other vowel or consonant pairs are difficult for you? Have a fun practice, And I’ll see you next week! Hadar Shemesh, you are amazing!! !